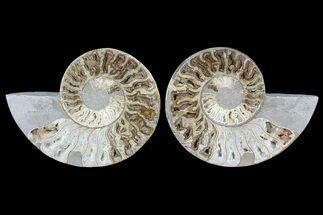 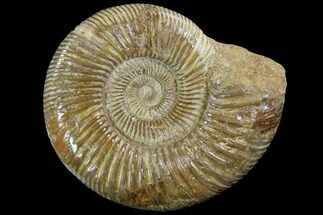 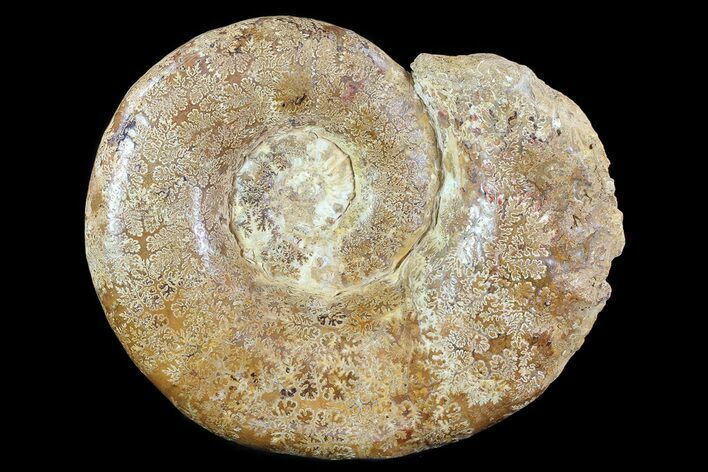 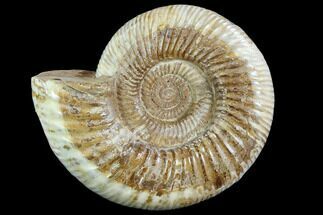 This is a large 9.2" wide Euaspidoceras ammonite fossil from Madagascar. It is Late Jurassic in age and it was collected near Sakaraha, Madagascar. 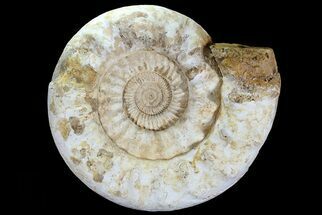 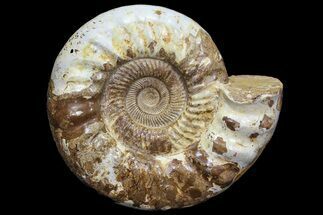 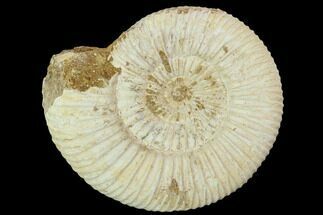 The exterior of the fossil has been heavily polished, removing the majority of the shell and ridges, leaving the interior sutures visible. 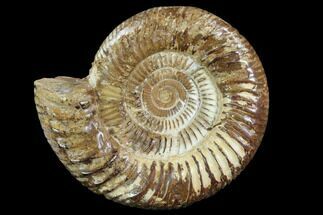 The sutures display beautiful patterns and the specimen weighs just under 7 lbs. 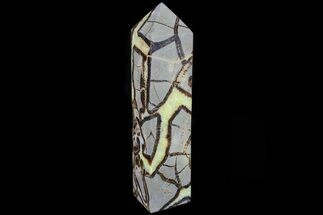 Comes with a metal display stand.